For those who have more critical things to do than refresh our Blog Page just to see different header images, I have had a request to add a gallery page. After all time is better spent looking at Muskoka cottages for sale. Dogs: stick for a pillow?! As we go about looking at Muskoka cottages for sale for our buyers, and listing cottages for sellers, we get some great comments about our images, design and videos. They are fun to share and with Muskoka as our backdrop, it’s pretty easy to look good. 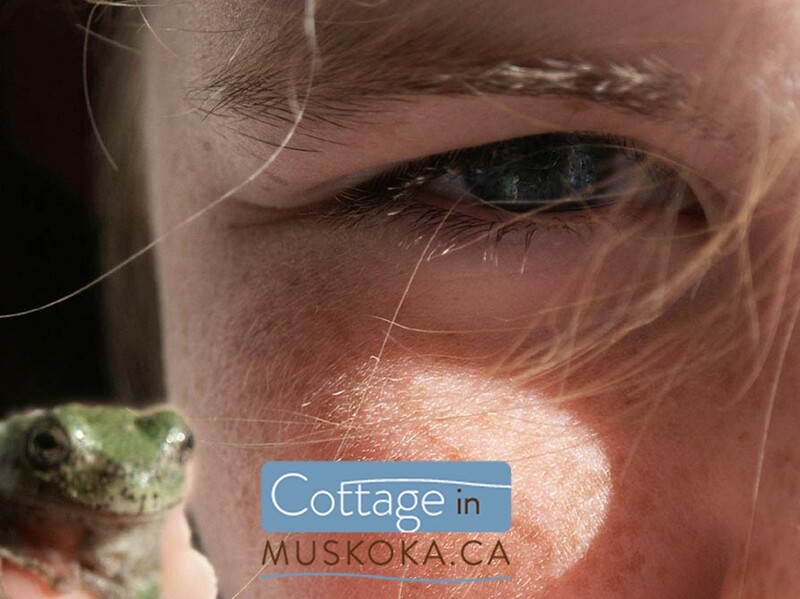 Some are images taken throughout a lifetime of cottaging here in Muskoka. I am told I started at two weeks old, and at some point later the first sentence I put together was an excited and agitated “boy go boat!! !” when others were headed out while I was to be left in the care of my Grandmother. Other pictures are taken of friends and clients’ cottage activities and, as mentioned above, as we go about searching for Muskoka cottages for sale (actually and potentially for sale), that fit both our ideals for value and the various specifics of our current group of buyers. There are quite a few images, more or less suitable to headline the blog, and we have lots more in the archive. One that I had mostly forgotten was a photo of the ritual where I had convinced tried to convince our kids, that kissing fish you caught and were releasing was good luck. Somehow it would encourage the released fish to spread fairly positive communication about the entire event. I took the picture when I noticed with delight, that our daughter Lenore carried on the same tradition with her cousin Jordan. This turns out perhaps, to be something of an accepted practice of anglers around the globe. However, a Wikipedia search for kissing a fish, only brings up Kissing Gouramis . • Don’t leave a hatch cover upside down. • Don’t whistle on board. • Don’t bring a suitcase or a black bag on board. • Don’t bring a banana on board. • Don’t even wear yellow. • Don’t allow women on board. • Don’t leave port on a Friday. • Don’t mention four-hooved animals (pigs, horses, etc.). • Hang coffee mugs with the opening facing inboard. • Don’t comment on good luck, or the possibility of bad luck. • Dolphins are a good omen. Sharks are a bad omen. • Don’t kill an albatross or a gull. • Don’t change the name of a vessel. • Leaving on Sunday is good luck. • If you meet a minister before sailing, turn around and go home. • Hang garlic over the galley port hole. • Don’t use blue paint (particularly on a lobster boat). • Don’t wear a hat in the galley. • Don’t step onto a boat with your left foot. • Don’t coil a rope or stir a pot counter-clockwise. • Don’t bring an umbrella on board. • Don’t make pea soup. • Don’t use the number 13. • Turn starboard first after backing away from the dock. • Don’t bring honeybears on board. • Having a virgin pee on a new net is good luck. The Age of Elegance – Saturday August 9, 2014 from 10 am to 4 pm. Old photographs of life in Muskoka are irresistible. Whether you see them at the Muskoka Boat and Heritage Centre in Gravenhurst or are lucky enough to have peaked into to a friend’s old family album, the images take you back to a dreamy time – graceful old cottages, beautiful mahogany launches, sporty little gentlemen’s racers, and men and women dressed in their finery. What was it like to live in the “Age of Elegance”? A few of the cottages in those photos have been maintained and can be seen today on parts of the Muskoka Lakes. Not so visible are many wooden boats, several approaching their centennial, hidden away in boathouses around the lakes. Mostly they were built right here in Muskoka for Muskoka cottagers. They may have been bought and sold, but they stayed in Muskoka accumulating history as integral parts of summer life for the generations that interacted with them. The MLA Antique Boat Show is a bi-annual event held in Port Carling and sponsored by the Muskoka Lakes Association. It was started in 1971 by the late Bob Purves to honour boats that have been built in Muskoka or have spent most of their life in Muskoka Waters. Come out and enjoy a day with these fine craft and their owners along with displays including vintage outboard motors, seafleas and antique Buicks from the 1920’s. One of our presenting sponsors will also be bringing a brand new Bugatti Vitesse that will be on display for all to see. It’s not very often a million dollar car comes to Muskoka! The Show is on Saturday August 9 and runs from 10 AM until 4 PM at the Port Carling locks. Admission is free. This event would not be possible without our presenting sponsors; Grand Touring Automobiles, Northfield Capital, Purves Redmond Insurance Brokers and Walker’s Point Marina. 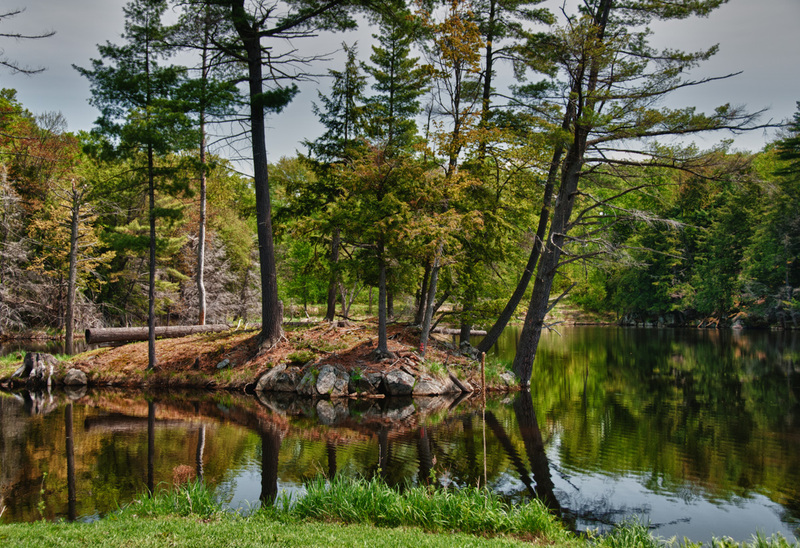 This Friday, the Muskoka Lakes Association will hold its AGM in Port Carling. Details below and here. The 121st Muskoka Lakes Association Annual General Meeting will be held on July 25th at the Port Carling Community Centre. Doors open at 6:30 p.m. and the meeting will begin at 7:00 p.m.
Come and enjoy some refreshments and snacks and have to opportunity to meet other members. You’ll hear about new MLA programs and updates on activities we’ve undertaken on your behalf. You’ll also meet incoming President Michael Hart and hear about his ideas for the coming years. We hope you’ll come out and enjoy an evening with your fellow MLA members. Please reserve your space by emailing info@mla.on.ca or calling 705-765-5723. The Ministry of Natural Resources – Parry Sound District is advising area residents that a Flood Warning remains in effect. Residents within the Parry Sound-Muskoka area are advised that some additional or prolonged flooding will occur within known flood-prone areas of many rivers and lakes. Recent warm air temperatures and rainfall has now accelerated the melting rate of the remaining snow pack with an increased runoff into local waterbodies. High water levels or flooding will occur over the next 24-48 hours within Lake Muskoka and the Moon River as part of the lower Muskoka River sub-watershed. Residents are advised to keep a close watch on conditions, regularly check for updated messages and exercise caution around rivers and lakes as high water levels and flows continue. There is the potential for higher water levels and flows than what is currently being experienced.Residents may wish to take action to protect property in flood-prone or vulnerable areas. MNR is closely monitoring the weather and developing watershed conditions. Further updates to this Flood Warning will be issued as appropriate. The current weather forecast through to Saturday April 26th is for daytime temperatures in the range of 5-10 degrees Celsius with near freezing nighttime temperatures. Today’s forecast is calling for a range of 3-30mm of rainfall Friday through Saturday. A significant amount of the remaining snowpack has melted in recent days due to warm air temperature and rainfall, increasing the runoff into local river systems. A significant amount of snow still remains within local watersheds at higher elevation areas including the western slopes of Algonquin Park; the headwaters of some local river systems. Forecasted temperatures and rainfall will continue to melt the remaining snow pack with continued runoff into local river systems and lakes. WATERSHED CONDITIONS STATEMENT – WATER SAFETY: indicates that high flows, melting ice or other factors could be dangerous for such users as boaters, anglers and swimmers but flooding is not expected. ** FLOOD WARNING: flooding is imminent or occurring within specific watercourses and municipalities. In case you missed it, the following was Issued by the Ministry of Natural Resources on Saturday, April 12, 2014 at 1:00 p.m. The Ministry of Natural Resources -Click here to enter text. Parry Sound District is advising residents within flood-prone locations that a Flood Warning is in effect as flooding is imminent. Residents affected by flooding in past years are advised to take immediate action to secure or protect property in advance of river flows and lake levels rising to flood levels. Those residents that have evacuated their homes in past years due to flooding may wish to make similar preparations at this time as rising water levels will hinder, limit or prevent the ability to evacuate as driveways and roads in lower-lying locations become impassible. All residents in close proximity to local rivers are advised to keep a close watch on conditions, regularly check for updated messages and exercise caution as river flows and levels rise. MNR continues to monitor weather conditions and flows and water levels. Further updates to this Flood Warning will be issued as conditions change. The current forecast is calling for 45mm or more precipitation beginning the evening of Saturday April 12th through Monday April 14th. The forecast through to next Monday is for daytime high temperatures up to 16 degrees Celsius with near freezing nighttime temperatures. The water content within the existing snow pack throughout local watersheds continues to be greater than the normal or historical average for early April. Forecasted temperatures and rainfall will significantly accelerate the melt of the snow pack Saturday through Monday. It is expected that the melting of the snow pack and rainfall amounts will significantly increase the amount of runoff into local rivers and lakes. In Muskoka, the environment is the economy. For cottagers, protecting the Muskoka watershed, protects your investment. This is the most important thing you can do today to help protect the Muskoka watershed which gives us all so much everyday! Interested in a classic boat cruise for 2? Know anyone who loves our scenic environment? Fwd this email! Please visit the campaign page for further details about this project. It is important to have active participation during the first week of the campaign, so please do what you can to share the care of this special place of rocks, trees, and especially water, that we all love. A small contribution can make a big difference to the protection of our environment. Tell us what you think of the campaign by leaving a comment on the campaign page: www.igg.me/at/StewardshipWorks. We are very fortunate to have such a passionate network of people supporting our mission to champion watershed health in Muskoka and its associated watersheds. Dr. Watmough explains implications of calcium losses on lake ecosystems. 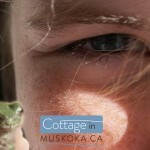 As mentioned last month in this cottageinmuskoka blog entry and this news story from the Huntsville Forester (Cottage Country Now), the decline of calcium in our lakes can affect our lakes recovery from acid rain as well as zooplankton in our lakes, which are are very sensitive to declining calcium levels. From the Muskoka Watershed Council Lecture Series I have just finished editing and have just posted this video on the Muskoka Watershed Council’s YouTube page. Why should we care about calcium in the environment? How are calcium levels in lakes, vegetation and soils changing? What is causing these changes? What will be the impact of timber harvesting on lake calcium levels? What are the critical uncertainties? 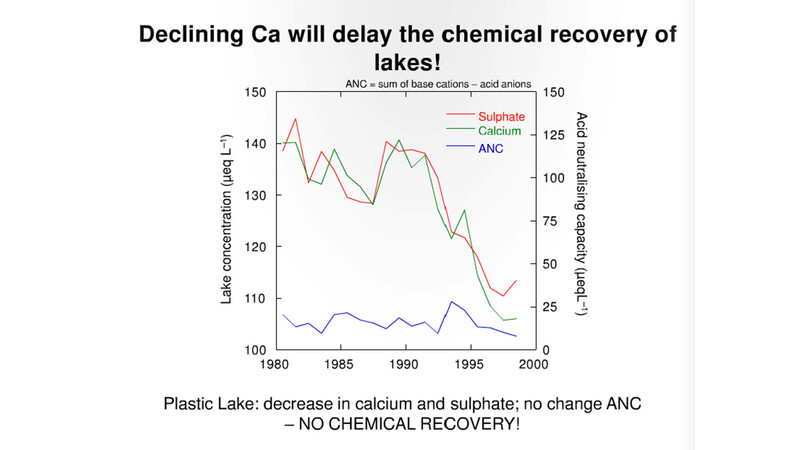 Declining calcium slows the recovery of acidic lakes. Even if you aren’t paddling in the event, it’s an … ahem… Great Experience to watch. This Saturday, at Annie Williams Park in Bracebridge, come out and see why The Great Muskoka Paddling Experience has become an epic one in Ontario paddling and beyond. – Muskoka Magazine: story (scroll down a page). Mentioned in a number of Muskoka Watershed Council lectures over the past few years, calcium decline in Muskoka Lakes and in particular, the consequences of timber harvesting on lake calcium levels have been hinted at as a potential direct cause of declining health of our lakes in Muskoka. Here’s a past primer news story from the Huntsville Forester (Cottage Country News). This week, we have an opportunity to discover more. Dr. Shaun Watmough, an Associate Professor in the Environmental Resource Science Program at Trent University in Peterborough will present. Decades of acid deposition have depleted soil calcium reserves and, when combined with timber harvesting, predicted losses of calcium from soil are considerable and may ultimately threaten long-term forest health and productivity and lead to negative impacts on lakes. 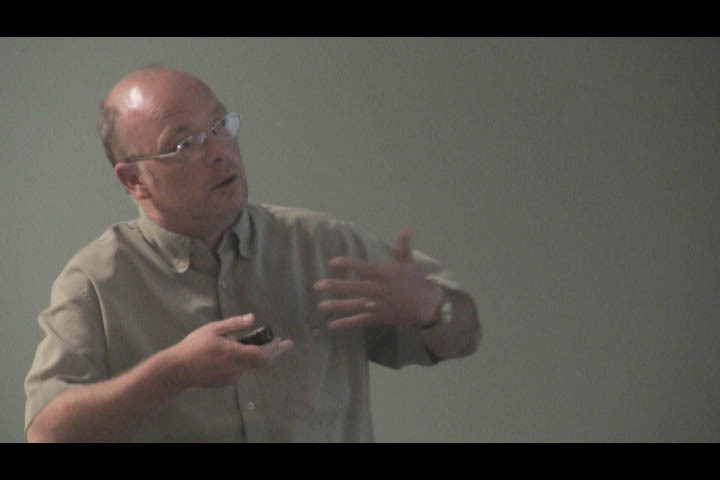 In this talk, Dr. Watmough will provide an overview of our current understanding of calcium biogeochemistry and describe the reasons for the widespread decline in calcium levels in lakes and the implications of calcium losses on soil fertility and forest health in addition to impacts on lake ecosystems. With an emphasis on south central Ontario, Dr. Watmough will document a nutrient budget for a selection harvesting regime in central Ontario hardwood forests. This work is then extrapolated to regional harvesting activities and management issues are discussed. The link for this lecture and registration is here. "I think this was my lucky day when I called into the ... office looking for a recreational property in cottage country! I was fortunate to talk with Catharine who was a wonderful agent for me. She has a perfect blend of enthusiasm and wisdom, while never being over-bearing or pushy. She was informative during the search but more importantly she was also helpful after the sale closed. We’re really looking forward to summer at the new cottage and will definitely have Catharine and Steve over for a drink to celebrate our dreams."